Janet Kay is best known for the Dennis Bovell produced track "Silly games&" which went to Number 1 in the National UK charts in 1979. This was the first time a British born black female hit the top of the charts - a feat now immortalised in the Guinness Book of Records. 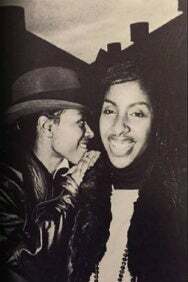 Janet Kay had already had many underground hits on the Reggae charts prior to this with tracks such asd "Loving you", "That's what friends are for", "I do love you&" and more. Janet Kay has worked with Fatboy Slim, Jackie Mittoo, Aswad, Omar, Sly & Robbie and more. She has sold more than one million records in Japan alone and tours the country regularly. Carroll Thompson first found fame with the Reggae Smash "I'm so sorry&" and had a slew of hits such as "Hopelessly in Love", "Make it with you", "Love won't let us wait&" and "I'm still waiting&". Carroll has worked with Sugar Minott, Trevor Walters, Courtney Pine, Aswad & Mad Professor.